Blog > Event > It’s jazz! It’s swing! It’s a BIG BAND thing! It’s almost time for the annual fundraising event for Hutch Fund! 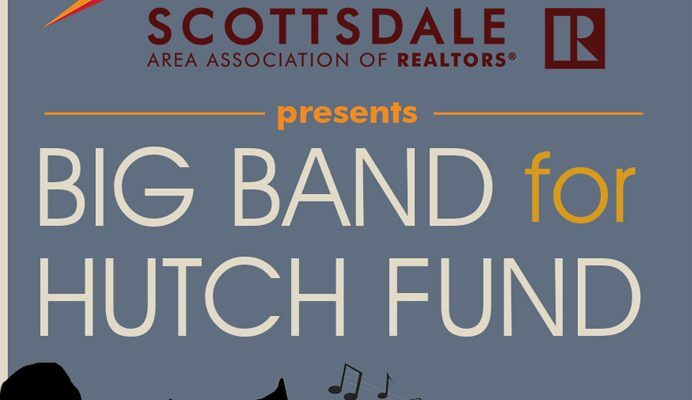 On April 28, the saxophones, trumpets and trombones will be blasting their harmony and the rhythm section will keep you dancing as the funds rise! The Hutch Fund is a charity providing financial assistance to Scottsdale Area Association of REALTORS® (SAAR) members experiencing a crisis or catastrophic event. This year’s fundraiser will take place at a local, private residence with cocktails, hors d’oeuvres, a silent auction, a raffle and a 21-piece orchestra, Forever Young, playing all the greatest hits from the swinging era of big band. Early bird tickets are $55 per person. Get yours SOON because ticket prices increase to $65 on April 1!